Going back in history, women have shown a penchant for wearing something beautiful, pretty or eye-catching on her fingers, in her earlobes, around her neck and around her wrist – be it something small and simple; or big and chunky. Dating as far back as the 16th century during the Elizabethan times, gems used in jewellery were diamond, emerald, ruby, sapphire and opal which are still strongly in use today. Jewellery amongst the Tudors was a big part of fashion, especially for the rich as it showed status and wealth. Making a statement is still a popular reason for wearing jewellery today. A simple piece can add to, or finish off an outfit. Some women like to wear jewellery because it makes them feel good, others to reflect their personality. There are endless reasons why women wear jewellery; each one is thought-provoking and fascinating to listen to. Here at AG and Sons, we like our customers to sparkle while wearing our jewellery. 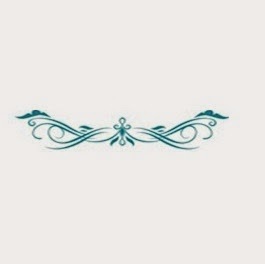 All of our designs are unique and at affordable prices. We can’t pick favourites but we hope you can. At this very moment, we dig more about the wrist wear. 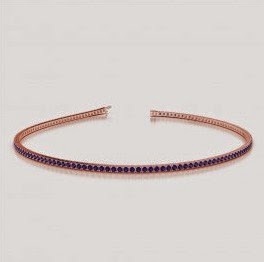 For a different look to gold and silver, the Rose gold Sapphire Bracelet is fabulously feminine with its pink hue, offers a sophisticated look to adorn your wrist. White gold is timeless and teamed with the vivacious Ruby; it is luxurious. 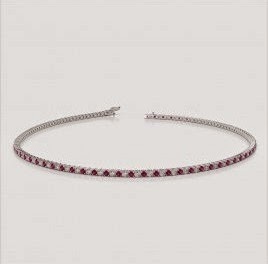 Be the envy of admirers with this beautifully chic White Gold Ruby bracelet. Yellow Gold & Emerald complement each other well, presenting an elegant and stylish design suitable in bracelets for that classic statement everyday look. 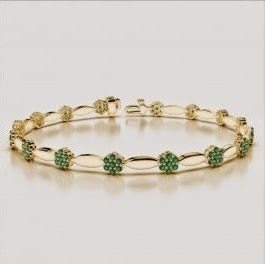 Bracelets are decorative and can be worn for any occasion. More attention is paid to the wrists than is realised. We use our hands to communicate as we go about our day to day lives, and wearing one of our carefully created bracelets will ensure all eyes are on you as the sparkle in our gemstones and diamonds catches the light. Browse our fantastic collection today to spark the inner sparkle in you! All of our jewellery is hallmarked and all of our diamonds are conflict FREE.